SIGNED WHO'S AFRAID OF VIRGINIA WOOLF? 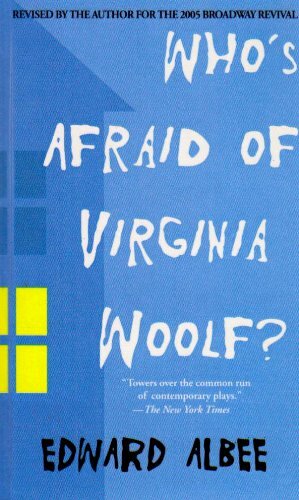 Whos Afraid of Virginia Woolf was written by Edward Albee. Whos Afraid of Virginia Woolf was published by Dramatists Play Service, Inc.
About Edward Albee (Author) : Edward Albee is a published author of young adult books. Some of the published credits of Edward Albee include Whos Afraid of Virginia Woolf.